Drake, Rihanna, Kanye, and Future are harnessing the power of emojis in successful marketing campaigns. An expert explains why it works so well. Recently, it seems that the best release campaigns come with an emoji attached. 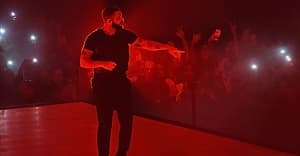 Internet overlord Drake set a precedent last year by attaching 🔋 to the release of his Meek Mill diss track “Charged Up,” leading to a 20% spike in the use of that emoji on Instagram the week the track dropped. He and Future later repeated the strategy with the 💎 emoji, which was used to represent their What A Time To Be Alive mixtape, and which Instagram reported was used 15% more in the week of its release. Many major artists have followed suit: Future revived the strategy with his Purple Reign mixtape and the ☔️, Rihanna attached ANTI to the 🎈, and now Kanye West, it seems, is looking for a piece of the action by changing his album name to WAVES—much more easily translated into emoji (🌊) than SWISH. Just two days ago, recently reformed U.K. girl group All Saints announced their new record Red Flag with its according emoji; hell, the latest issue of The FADER even has an emoji phrase on its spine, in place of words. Just like we do on Instagram, it seems these artists may be picking the emojis for simple reasons, such as because they mirror a word, or some visual element of their cover art. It might not actually be that deep, but these images can take on new meanings when they travel out in the world. Artist and semiotician (aka, someone who analyzes symbols) Rebecca Wigmore put it like this in an email to The FADER: “People like Kanye and Rihanna are powerful semioticians, and so are their fans. An emoji, which is not searchable (at least not easily) is a message transmitted to those who already 'get it,' the people who watch the evolution of complex meaning on their social feeds every day—when an artist uses an emoji, you know they're talking to their fans." When an emoji is your marketing tool, it helps identify “true fans”—because those who use it know its significance implicitly, and it takes more than just clicking on a hashtag to figure it out. But also, being non-linguistic, its potential meanings are flexible and manifold. With that in mind, The FADER asked Wigmore to dissect what’s behind the three emojis that have been dominating our timelines this month. WIGMORE: The significance of the ☔️ is not as complex as some others, but it does have a emotive overlay that's identifiable. Most often, people use ☔️ to literally convey the weather and/or the smug feeling of being sheltered. However, just as rain is used as a common metaphor for sadness, there's a less common usage where ☔️ expresses a sort of muted unhappiness or hard-won protectiveness against something painful. Using this emoji for Purple Reign works especially well on the iPhone and Twitter where the umbrella renders in a pleasingly literal color scheme. Obviously there's a call-back to Prince in the title pun. Prince was way ahead of his time with his symbol...The difference is that Prince's symbol is a static entity and [emojis are] fairly universally accessible (sort of—it’s an issue of privilege and platform) and therefore a much more malleable tool for expression. But where Future's usage of the umbrella differs is that he won't be able to control the longevity of ☔ as an effective signifier of his work. Prince created something enduring but static—pure iconography. Future has ☔ but only for now. WIGMORE: The traditional usage of 🎈 is again usually quite literal—celebration, joy, party. And you only have to look at the comments on Rihanna's Instagram to see that the fans are using it partially for that very reason—it's been a while and RiRi is finally releasing something. However, you can tell by the artwork for ANTI that there's a real sense of an artist trying to challenge her fans to read her beyond the feeds. ANTI seems to be about a celebration of the physical as well as the digital—if you've covered your album in braille, it's fairly clear that you want people to hold your work in their hands. The red balloon and little Rihanna on the cover of ANTI feels a little bit Banksy (street art, grit, rebellion), and it was painted by Roy Nachum and unveiled like fine art. It’s emoji as ingredient in a cultural collage. WIGMORE: Future has a rainfall, Kanye has a tidal smash. One of the things that's fascinating about Kanye is that we all have access to his iterative creative process with all the triumphs, missteps, meanderings and doodles. I don't know if this title choice will stick but it's an interesting choice. The 🌊 is quite a blank emoji in that it doesn't carry as much—or really any—emotive weight, at least not that I can immediately discern from the Twitter/Tumblr/Instagram feeds. It's used pretty much literally to connote the sea. iOS renders it quite ferociously, in that flat Hokusai style—it looks dangerous. However, Android/Twitter/Samsung render something much friendlier—a Surf's Up! kind of vibe. A blank emoji works well for Kanye because he already carries a wealth of signifiers with him from hip-hop, fashion, reality TV. Of course he's already arguing with Wiz Khalifa over the “appropriation” of Max B's wavy and the definition of KK as Kardashian or weed—signifiers stick and unstick with alarming rapidity online. I'm genuinely curious to see what 🌊 becomes or reveals itself to be.